After a brief kerfuffle about whether we would be able to do board games a Cult this week it turned out we could. There was something going on but it turns out it started at 6 and wouldn't but eating into board game time. 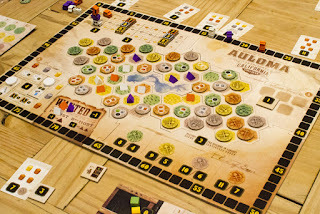 It was a terrible week of board gaming for me. I lost both the games I played. And by lost I mean I came last. By a lot. The shame! The first game I played was Gold West which Dan won. Afterwards we played Caylus Magna Carta which made it's IpBoG debut. It looked like Dan was going to win this game too but Alex manged to take the first place spot. It's a card game version of the Caylus, the classic worker placement game. It plays very much like the original Caylus but a bit of a cut down version. But like the original it still has the provost, the little token that lets you screw over other people. Johnny ran a game of Betrayal at House on the Hill and Danny ran a game of Chinatown. These seem to be pretty much Johnny's and Danny's go to games and, of the non-filler game, are probably played the most played at IpBoG. A couple of five minute bursts of shouting can only mean one thing. People were playing the noisy bidding game Pit. There was also some Codenames, Skull & Roses and Spyfall along with some other games that I've no doubt missed. 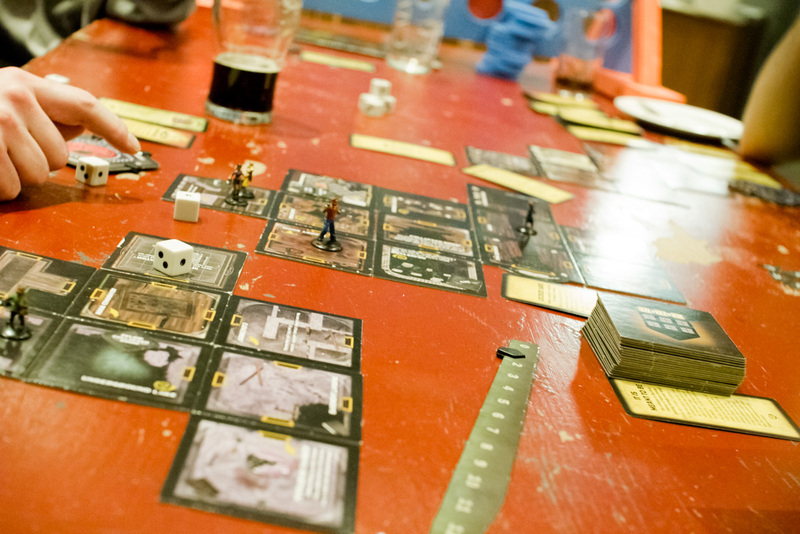 But we'll be in Cult for sure next week so I'll see you all there for more board gaming goodness!